Last week Andun attended the Institute Civil Engineers North West awards. The awards are designed to recognise excellence and imaginative concepts in civil engineering practice across the region. Andun were part of the project that won the North West Chair’s Constructability Award which is focused on the collaborative approach to temporary works and buildability. The Landmark basement project was a collaboration between Andun, Mayo Civils, Curtins and Bowmer & Kirkland to turn the old Odeon cinema in Manchester into the council’s new vision for the Civic Quarter alongside the structures on 1 & 2 St Peters Square. 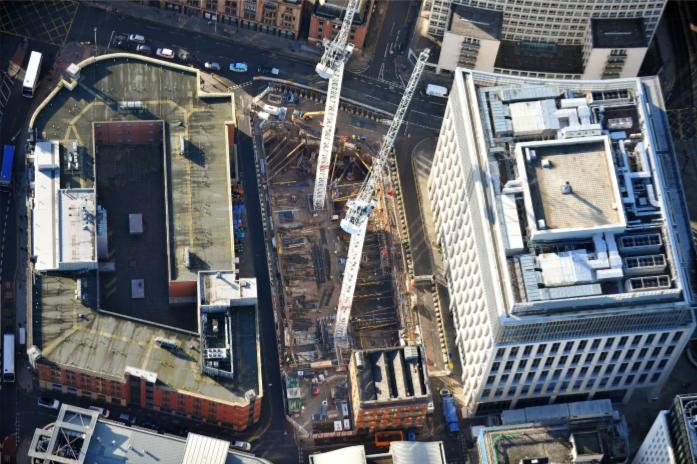 Andun provided temporary works design and demolition sequencing support to the theatre demolition & basement propping elements of the £100m Landmark redevelopment in Manchester. During the scheme Andun worked closely with Curtins who were the permanent works structural engineers. 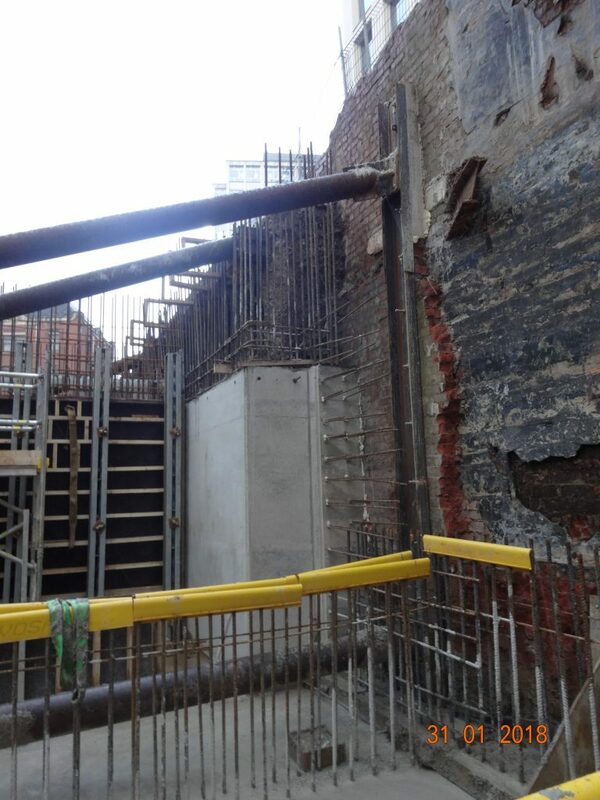 This enabled a smooth integration of temporary works into the permanent works which was essential considering that Andun’s aim was to be efficient with using permanent works where necessary to reduce the amount of temporary works structures that would become redundant upon completion. This was just one example of the collaborations between the companies involved in the project that contributed to the constructability award.